In the hands of MissMaygen. Use TB1V7XA to reference this item. 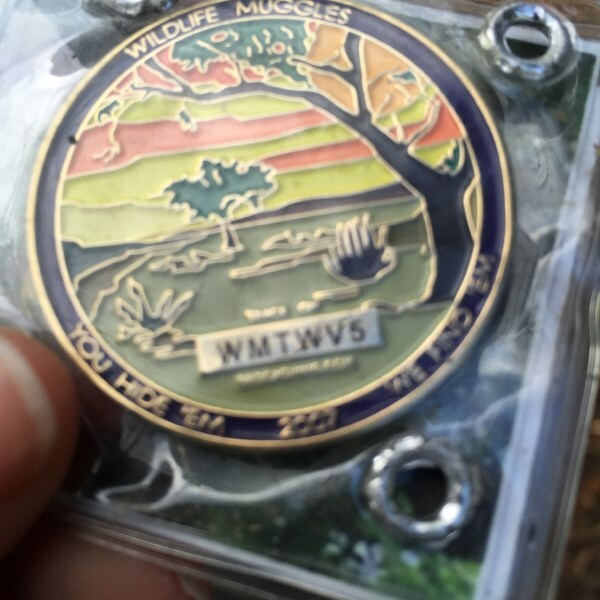 This geocoin is dedicated in honor of Tod Phillips. If you find this coin, please take a moment to think about how you drive. Always keep in mind that there are others on the road and that your actions can affect them, and their loved ones, forever. Pay attention to bikes, give them some room, and be patient so that we can all arrive safetly at our destinations. This coin is part of The Bike Awareness Project initiated by Rockin' Roddy in response to the death of his good friend and caching partner Tod Phillips. On August 12, 2008, Tod was riding his motorcycle when he was killed in an accident caused by a left turning vehicle. 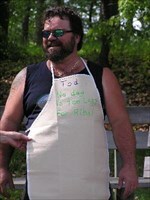 Tod was the third member of Team Rod & Tod w/KAboom. This coin is released in his memory and in memory of all motorcyclists killed on the road. We didn't see this in the cache is was listed in but the message is very dear to my heart. I am sorry for what happened to your friend Tod Phillips. Much of my family rides and therefore, is advocates for awareness of motorcycles on the road and defensive riding. Just this past summer my brother was hit, and although he saw it happening he couldn't completely prevent it but he survived. I hope the geocoin shows up soon, but I would like to offer to put out a replacement tag for this geocoin if it is indeed lost. Please contact me at geowyrm@shaw.ca if you are interested. Grabbed this Geocoin, will move along shortly.